I get it. It's easy to dwell on the dangers that may await your child if you send him out into the great big world. However, these fears, based on myth, not fact, add up to some very bad news for kids today. Keep reading to learn more about the dangers of keeping kids under lock and key, find out if kidnapping is as rampant as you think it is, and learn how to relax so your kids can experience a real childhood. Growing up, kids and adolescents in my neighborhood ran around outside all day until long after the streetlights came on. We’d climb trees, build forts with real tools, jump on trampolines, play football in the street, go swimming sans parents and ride public transportation all over the city, even at night. To be clear, my friends and I did some truly stupid things. From throwing rocks to climbing on roofs to jumping out of trees on a dare to never wearing sunscreen to dangling in sewers and cruising on our bikes without helmets. We didn’t always use our brains, yet I emerged from childhood unscathed by my outdoor time, and so did most of my friends. I never broke a bone or had stitches. I was never kidnapped off the street or run down by a car. We did learn how to navigate the world and our relationships with others. Our parents gave us some advice. They warned us about “stranger danger” and told us to look both ways before crossing a street, but mostly, they let us run around making decisions, becoming independent and having fun. My mom was far from perfect, but I have to admit, she did give me freedom, and for that I’m endlessly grateful — because in this respect I had a childhood full of normal healthy outdoor risks and adventures. Kids today aren’t as lucky. Richard Louv, author of Last Child in the Woods, points out that many parents today fear the outdoors, including such simple acts as letting a kid climb a tree or hike alone in the woods. I agree. In my neighborhood, it’s utterly quiet. There are no kids zooming around on bikes or playing ball. I don’t see kids holding outdoor tea parties or running through sprinklers. As an adult, I can count the times I’ve seen kids climbing trees on one hand. Kids sit inside playing video games or watching TV. Kids today don’t walk to school, even if they live nearby. I know maybe three kids who are allowed to ride public transportation. All the other kids I know are driven everywhere by their parents. I’ve met teens who aren’t even allowed to walk down the street to the park or corner store alone. When kids do get outside nowadays, it’s almost always with a parent by their side. At my son’s last slumber party, many kids he invited couldn’t come because their parents felt they were too young for a sleepover (at 12 or 13 years of age!?) and the ones who did come, came with a long list of dos and don’ts. I understand protecting kids, but keeping kids on house arrest is puzzling. How Will Your Kids Remember Their Childhood? So many kids trapped inside would be unbelievable if I was just seeing it with my own eyes, but research shows it’s really happening. Research released last year showed that kids today spend 56% more time in front of screens than they do playing outside. The same research above found that 96% of parents say their kids have experience playing video games, but just 61%-74% of kids have visited a national or state park or gone hiking. The Children & Nature Network notes that just 6% of children ages 9-13 play outside on their own. Be Out There notes that the average American child spends just 4 to 7 minutes in unstructured outdoor play each day. Kids today have almost no free time to play as parents plan more and more structured activities. 8-18 year-old kids spend an average of 7 hours and 38 minutes using entertainment media in ONE day. That’s 58 hours a week. My childhood, and maybe your childhood as well, is full of memories of outside adventures, fun with friends running around, the thrill of going to the city alone and much more. I worry that kids today won’t have these fun memories, instead remembering their childhood as a time when they were stuck inside, sitting endlessly in front of a screen. That’s one of the most depressing thing I can imagine. Later on, what will your child remember? Usually you hear about stranger danger in the news, but let’s flip that for a moment to discuss the dangers of kids trapped inside for their entire childhood. A recent story in The New York Times discussed how play has all but vanished from childhood. 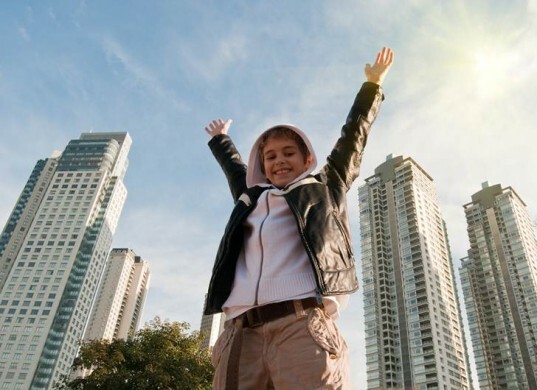 The article states, “Too little playtime may seem to rank far down on the list of society’s worries, but the scientists, psychologists, educators and others who are part of the play movement say that most of the social and intellectual skills one needs to succeed in life and work are first developed through childhood play.” A great deal of research proves that The New York Times piece is right on. Kids are exposed to some serious problems if they don’t get a healthy dose of free, unstructured play. The American Academy of Pediatrics says that a lack of unstructured playtime causes depression and anxiety in children. A Stanford School of Medicine study says that kids who miss out on free, unsupervised play also miss out on cognitive, physical, social, and emotional development and well-being as well as self-regulation, empathy, and group management skills. Be Out There research notes that children kept from outside play time are less physically active, less creative, more aggressive and have worse concentration. Research at the Morton Arboretum notes that symptoms of Attention Deficit Hyperactivity Disorder (ADHD) are worse when children have no contact with nature. This research showed that kids with ADHD who do spend time in nature concentrate, complete tasks, and follow directions better than their peers. Kids trapped inside miss out on basic rights of passage, such as forming fun memories, making mistakes and learning how to be brave. Children with nothing but screentime have no idea how to manage when screens aren’t available. They get depressed, lose control and have no clue how to entertain themselves. Most kids use the term “Addiction” when describing their screen time, which is a serious problem. In fact this is a con for parents too. Incredibly, there are whole articles dedicated to advising parents how to teach kids to play alone! Seriously? A lack of outside play time is linked to stress, vitamin D deficiency and decreased disease resistance in kids. Kids who don’t experience free play miss out on memory growth, problem solving skills, language skills, literacy skills, math proficiency and much more. Most health organizations directly link the growing childhood obesity crisis to a lack of independent outdoor play. It’s scary to imagine, but the Alliance for Childhood, a play advocacy group, notes that children ages 10 to 16 now spend just 12.6 minutes per day in vigorous physical activity and an average of 10.4 waking hours each day relatively motionless. We’re talking about a generation of kids who are living their entire childhood sedentary, an issue that is directly linked to obesity and many other health problems. Kids who don’t get to be outside will not care as much about protecting the planet once they become adults. One study notes that the most direct route to caring for the environment is participating in “wild nature activities” before the age of 11. (Wells and Lekies, 2006). On top of all of the above, many kids I meet today are just plain terrified of everything, from riding the bus alone to walking to the corner store to meeting a new person, and that’s because they haven’t been allowed to learn that the world is a mostly safe place. It’s fine to want to protect your child, but sheltering them from every single scrape and problem has far reaching implications that will affect their whole life. Child psychologist David Elkind, professor at Tufts University tells Psychology Today, “Kids need to feel badly sometimes. We learn through experience and we learn through bad experiences. Through failure we learn how to cope.” There’s a lot to be said for taking risks, making mistakes and learning from them. Something kids won’t have the chance to do if they’re sheltered round the clock. You want your child to embrace, not shy away from the world he inhabits. But What About Stranger Danger? Most surveys show that parents know the benefits of independent outside play, but that this knowledge doesn’t quell the fear of childhood abduction. No one is disputing that kidnapping is beyond horrifying, but you should know that it’s extremely rare. The media likes to play on parent fear, tossing out figures like, “800,000 children disappear every year.” If you dig deeper into those figures and read reports on U.S. child abductions (pdf) you’ll find that very few kids, around 115 per year, fall into the stranger-danger kidnapping category, with just 50 who are never recovered. The above said, I still understand being freaked out that your kid could be THAT one kid taken. As Free Range Kids points out, who cares that just 50 kids are kidnapped annually when your kid could be one of those 50. As a parent though, you should really try hard to put stranger danger into perspective because it can help you give your kid the freedom he deserves. Below are some facts about the actual dangers kids face. Injuries sustained in motor vehicle crashes, not kidnapping, is the number one killer of children in the United States. The CDC states that each day eight teens die in a crash while the U.S. National Highway Transportation Safety Administration points out that an average of 4 children are killed and 529 are injured every single day in motor vehicle crashes. Deaths from fires and burns in the home are also far more common than kidnapping. In fact this is the fifth most common cause of death in the United States (CDC 2006) and kids are at the most risk. CPSC says that around 300 children under the age of 5 years drown annually in home swimming pools. Worse, research shows that almost all drowned children were being directly supervised by one or both parents at the time. 1.25 million kids younger than six years of age are unintentionally poisoned in their own home each year. American Association of Poison Control Centers says almost all of these poisonings are due to common household products most parents own. The CDC states that about 1.7 million children live in homes with loaded and unlocked guns which is extremely dangerous considering reports show that around 500 children die each year due to accidental gun shootings. The Consumer Products and Safety Commission says that 230,000 kids per year are treated in the ER due to toy-related injuries. These figures aren’t meant to freak you out even more, but what they do clearly show is that unintentional injury is the number one danger kids in the U.S. face — not childhood abductions. Compared to abduction, it’s much more dangerous to drive your child to school, let him play while supervised in a swimming pool or allow him to own toys. Can keep themselves safe from strangers when alone or with other kids. Knows how to stay safe when walking to school, riding the bus, hanging out on the playground, or riding their bike. Can navigate their way around new places and can ask for help when stumped. Has the ability to “Read” new people they meet. Can identify safe places in the neighborhood and other places where they can go if there’s trouble. Knows to avoid isolated spots that may pose a danger. Knows how to attract adults attention if there’s a problem. Trusts their gut and acts on it, when needed. There’s a 0% chance that your child will develop street smarts sitting on a couch or with you tied to him at all times. Your child needs some independence in order to gain these street-smart skills. Below is how you can help your child develop these skills. 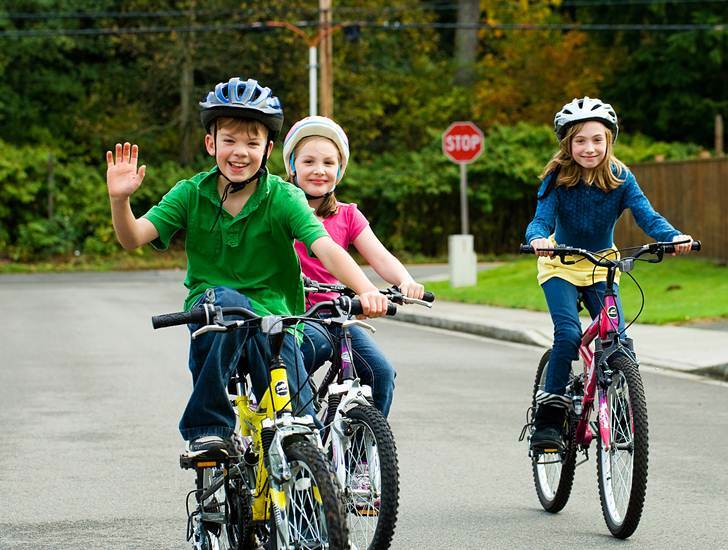 Teach basic safety rules: Teach kids to wear helmets and look around before crossing a street. Tell them not to mess with strange dogs and to only climb stuff they’re comfortable climbing. Go over all the basics. Make sure your kid has basic info in place: All kids should memorize your phone number, name and address before you let them roam the neighborhood. Go with your kids at first: When your kids are young, head out into the world with them. Point out situations that could be dangerous, like building sites, broken playground equipment, train tracks and traffic. Don’t freak kids out, but make sure they know a questionable situation when they see it. Teach your kids about people they don’t know yet: Avoid “Stranger danger” speeches that scare kids. Your kid should know better than to go places with people they don’t know. However, don’t teach your kids that everyone is waiting to harm them, because it’s not true. If you’re looking for a good video about “strangers” check out The Safe Side. It encourages safety not fear, discussing “People we know well” and “People we don’t” instead of “Scary strangers.” My son liked this video a lot and I especially liked that it encourages kids to be smart and safe while on their own, but not fearful. Teach your kids to seek out proper adult attention: If needed, your child should know which adults are the best to ask for help. I always tell my own son to look for a mom or dad with kids. It’s not 100% perfect, but my guess is a mama or papa will know what to do when a kid needs help. Store clerks who are behind a counter helping customers are also a safe bet. If you live in an area with lots of apartments, tell your child to go to an apartment office if he needs help or needs to call you. 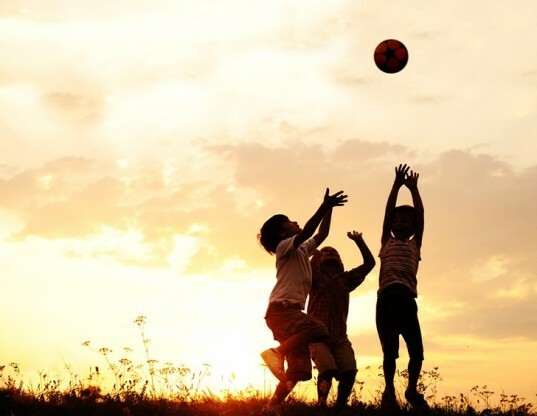 One study, Children’s Pastimes and Play in Sixteen Nations: Is Free-Play Declining? found that 95% of moms are deeply concerned that their children are growing up too fast and missing out on the joy and learning associated with free play. This is great, because it really shows that we know we need a change in this country. Change is hard though. How can you relax if your kids are out running around? Start slow. Let your kid go outside to play in front of the house. Then allow him to ride his scooter or bike around the neighborhood by himself or with a friend. Later move up to harder changes like riding the bus or letting your kid ride his bike to school or the corner store. Have a check in system in place. My son is allowed to ride or run around the neighborhood if he wants, even at night, but he does know to check in once in a while. Set check in times that aren’t too long or short. Having your kid check in every 10 minutes is not giving them freedom to play. Be there at first. If your kid wants more freedom, go with them once or twice first, so you feel comfortable. My son at age 11 wanted to ride to the corner store. That means riding out of our neighborhood, under the freeway bridge, over the MAX (train) tracks and crossing a very busy street. Was I freaked a little? Sure. But I went with him the first two times. I watched him stop at the train tracks and look before crossing the street. Though he had fun, he was also careful. I felt better about it, and now he goes alone or with a friend. At 11 he also decided to ride his scooter to school. His school is over a mile away and the only way to get there involves streets of heavy traffic. Again, I went with him twice. He did fine, learned the route and would call me when he arrived at school. My son’s best friend who is 12, rides the bus all over the city on his own to get to school. His mom mapped it out with him and rode with him once and now he’s good to go solo. Seeing your kid manage activities will help you relax because you’ll know they know what to do. Get another parent on board. I’m lucky because my son’s best friend has parents who believe kids should be kids and get some freedom so they have no problem when our kids want to go explore. Most of my son’s friends parents think kids are safer trapped inside though, so I know that can be frustrating. Start a conversation with other parents about why your kids should be allowed to play outside together. Getting another parent on board means your kid has a friend to pal around with outside. Really sell the safety in numbers speech. Take bigger risks as time goes on. The more you see your child head out into the world and come back safely, the safer you’ll start to feel. You’ll amazingly begin to trust your child. You’ll see that it’s safe to drop your kid off at the movies, the park or the mall, or even downtown so he can go to the bookstore or a concert with friends. In fact, maybe you’ll even send your kid off on public transportation to these places. It’s hard to take on new risks, but it does get easier as time goes on. Read Free-Range Kids, How to Raise Safe, Self-Reliant Children (Without Going Nuts with Worry) – it’ll help I promise. Stop worrying about your children! LOL, stating all of those statistics actually heightened my anxiety about abduction and accidents. Oi, this article did NOT help. Only 50??? Are you joking??? It's like toxic sunscreen for babies, or toxic fire retardant on kids clothes; are we really protecting them or ruining their lives? Now would be a good time to become a therapist, because there will be thousands of people needing it. It's like toxic sunscreen for babies or toxic fire retardant on kid's pajamas, are we protecting them or ruining their lives? Now is a good time to become a therapist. @rachelmcclary - I'm glad you let your kids play outside. That's great. @karencoutts - if you let your kids walk to school, you must trust that they're safe though right? Not about to be kidnapped, or why let them walk to school? Most parents won't even do that. It's smart to teach kids to run away if approached by someone who makes their gut jumpy or teach them to hang in groups, but I can't see the logic in zero freedom for kids based on something that may happen. Kids are at risk every time you put them in a car, but millions are ok with this. People in general, throughout their lives are likely in more compromising situations then they will ever know - when they travel, move to a new place, climb a mountain, play sports, etc; but to not have those experiences, it just seems like a life not lived. I'm really glad you're letting your kids walk to school and that they get outside often. There seems to be some confusion when this article is cited on other blogs. Just to clarify, are we talking about a 6 year old child, left alone and unsupervised, in a park, a block or two away from their home? @JustWow - this article is not about one specific child of a particular age. It's about parents allowing their kids of various ages some freedom to go outside to learn, play and grow. If you have a link to an article you're talking about it would help define what you're asking maybe. Jennifer, I just wanted to compliment you on this well thought-out, well-researched article. Amen, Sister! I am passionate about spreading this information to other parents so that they can have more accurate and realistic facts about the safety of their children, as well as an understanding of how important it is to teach our kids to be street smart and self-sufficient. I actually stumbled upon your article while doing research for a presentation for the program I am beginning to facilitate age and developmentally-appropriate freedom for kids in my area. Keep up the good work! Like Jennifer Chait says this post makes it seem like just because the child is returned it is ok that they were abducted, which doesn't account for whatever might have happened to them before they are returned. As a mother you are instinctively scared for your child's life. I do agree that they shouldn't be sitting in front of a screen all day like some poor souls out there, but just because a parent is outside with there child doesn't mean they are being over protective. As far as expanding boundaries for a child the main thing isn't age, the main thing is 'Is the child ready to take this new responsibility' and every parent decides differently whether there child is ready to go around the block by them selves at age 8 or not. You also have to consider the circumstances in your area, for example if there are reports of child abduction or anything or anyone suspicious, heck ya I would be terrified to let my child rome the neighborhood by them self. Ya it probably is good for kids to experience mistakes to learn from and pain of some sort, but you don't have to sit aside and watch them make a mistake that will hurt them for the rest of their life, why do you think we have parents. Growing up, kids and adolescents in my neighborhood ran around outside all day until long after the streetlights came on. We'd climb trees, build forts with real tools, jump on trampolines, play football in the street, go swimming sans parents and ride public transportation all over the city, even at night. To be clear, my friends and I did some truly stupid things. From throwing rocks to climbing on roofs to jumping out of trees on a dare to never wearing sunscreen to dangling in sewers and cruising on our bikes without helmets. We didn't always use our brains, yet I emerged from childhood unscathed by my outdoor time, and so did most of my friends. I never broke a bone or had stitches. I was never kidnapped off the street or run down by a car. We did learn how to navigate the world and our relationships with others. Our parents gave us some advice. They warned us about "stranger danger" and told us to look both ways before crossing a street, but mostly, they let us run around making decisions, becoming independent and having fun. My mom was far from perfect, but I have to admit, she did give me freedom, and for that I'm endlessly grateful -- because in this respect I had a childhood full of normal healthy outdoor risks and adventures. Kids today aren't as lucky. Richard Louv, author of Last Child in the Woods, points out that many parents today fear the outdoors, including such simple acts as letting a kid climb a tree or hike alone in the woods. I agree. In my neighborhood, it's utterly quiet. There are no kids zooming around on bikes or playing ball. I don't see kids holding outdoor tea parties or running through sprinklers. As an adult, I can count the times I've seen kids climbing trees on one hand. Kids sit inside playing video games or watching TV. Kids today don't walk to school, even if they live nearby. I know maybe three kids who are allowed to ride public transportation. All the other kids I know are driven everywhere by their parents. I've met teens who aren't even allowed to walk down the street to the park or corner store alone. When kids do get outside nowadays, it's almost always with a parent by their side. At my son's last slumber party, many kids he invited couldn't come because their parents felt they were too young for a sleepover (at 12 or 13 years of age!?) and the ones who did come, came with a long list of dos and don'ts. I understand protecting kids, but keeping kids on house arrest is puzzling. Image Courtesy of Shutterstock How Will Your Kids Remember Their Childhood? So many kids trapped inside would be unbelievable if I was just seeing it with my own eyes, but research shows it's really happening. Research released last year showed that kids today spend 56% more time in front of screens than they do playing outside. The same research above found that 96% of parents say their kids have experience playing video games, but just 61%-74% of kids have visited a national or state park or gone hiking. The Children & Nature Network notes that just 6% of children ages 9-13 play outside on their own. Be Out There notes that the average American child spends just 4 to 7 minutes in unstructured outdoor play each day. Kids today have almost no free time to play as parents plan more and more structured activities. 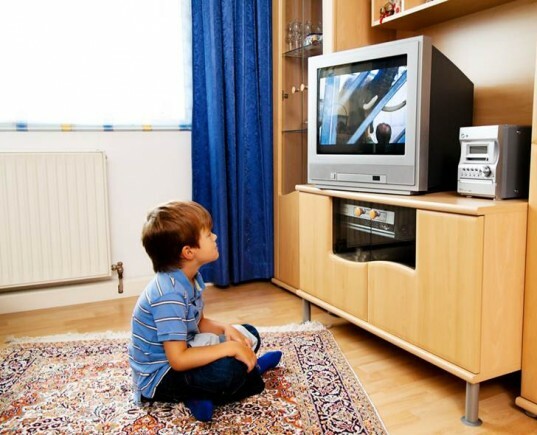 8-18 year-old kids spend an average of 7 hours and 38 minutes using entertainment media in ONE day. That’s 58 hours a week. My childhood, and maybe your childhood as well, is full of memories of outside adventures, fun with friends running around, the thrill of going to the city alone and much more. I worry that kids today won't have these fun memories, instead remembering their childhood as a time when they were stuck inside, sitting endlessly in front of a screen. That's one of the most depressing thing I can imagine. Later on, what will your child remember? Usually you hear about stranger danger in the news, but let's flip that for a moment to discuss the dangers of kids trapped inside for their entire childhood. A recent story in The New York Times discussed how play has all but vanished from childhood. The article states, "Too little playtime may seem to rank far down on the list of society’s worries, but the scientists, psychologists, educators and others who are part of the play movement say that most of the social and intellectual skills one needs to succeed in life and work are first developed through childhood play." A great deal of research proves that The New York Times piece is right on. Kids are exposed to some serious problems if they don't get a healthy dose of free, unstructured play. The American Academy of Pediatrics says that a lack of unstructured playtime causes depression and anxiety in children. A Stanford School of Medicine study says that kids who miss out on free, unsupervised play also miss out on cognitive, physical, social, and emotional development and well-being as well as self-regulation, empathy, and group management skills. Be Out There research notes that children kept from outside play time are less physically active, less creative, more aggressive and have worse concentration. Research at the Morton Arboretum notes that symptoms of Attention Deficit Hyperactivity Disorder (ADHD) are worse when children have no contact with nature. This research showed that kids with ADHD who do spend time in nature concentrate, complete tasks, and follow directions better than their peers. Kids trapped inside miss out on basic rights of passage, such as forming fun memories, making mistakes and learning how to be brave. Children with nothing but screentime have no idea how to manage when screens aren't available. They get depressed, lose control and have no clue how to entertain themselves. Most kids use the term "Addiction" when describing their screen time, which is a serious problem. In fact this is a con for parents too. Incredibly, there are whole articles dedicated to advising parents how to teach kids to play alone! Seriously? A lack of outside play time is linked to stress, vitamin D deficiency and decreased disease resistance in kids. Kids who don't experience free play miss out on memory growth, problem solving skills, language skills, literacy skills, math proficiency and much more. Most health organizations directly link the growing childhood obesity crisis to a lack of independent outdoor play. It's scary to imagine, but the Alliance for Childhood, a play advocacy group, notes that children ages 10 to 16 now spend just 12.6 minutes per day in vigorous physical activity and an average of 10.4 waking hours each day relatively motionless. We're talking about a generation of kids who are living their entire childhood sedentary, an issue that is directly linked to obesity and many other health problems. Kids who don't get to be outside will not care as much about protecting the planet once they become adults. One study notes that the most direct route to caring for the environment is participating in “wild nature activities” before the age of 11. (Wells and Lekies, 2006). On top of all of the above, many kids I meet today are just plain terrified of everything, from riding the bus alone to walking to the corner store to meeting a new person, and that's because they haven't been allowed to learn that the world is a mostly safe place. It's fine to want to protect your child, but sheltering them from every single scrape and problem has far reaching implications that will affect their whole life. Child psychologist David Elkind, professor at Tufts University tells Psychology Today, "Kids need to feel badly sometimes. We learn through experience and we learn through bad experiences. Through failure we learn how to cope." There's a lot to be said for taking risks, making mistakes and learning from them. Something kids won't have the chance to do if they're sheltered round the clock. You want your child to embrace, not shy away from the world he inhabits. Most surveys show that parents know the benefits of independent outside play, but that this knowledge doesn't quell the fear of childhood abduction. No one is disputing that kidnapping is beyond horrifying, but you should know that it's extremely rare. The media likes to play on parent fear, tossing out figures like, "800,000 children disappear every year." If you dig deeper into those figures and read reports on U.S. child abductions (pdf) you’ll find that very few kids, around 115 per year, fall into the stranger-danger kidnapping category, with just 50 who are never recovered. The above said, I still understand being freaked out that your kid could be THAT one kid taken. As Free Range Kids points out, who cares that just 50 kids are kidnapped annually when your kid could be one of those 50. As a parent though, you should really try hard to put stranger danger into perspective because it can help you give your kid the freedom he deserves. Below are some facts about the actual dangers kids face. Injuries sustained in motor vehicle crashes, not kidnapping, is the number one killer of children in the United States. The CDC states that each day eight teens die in a crash while the U.S. National Highway Transportation Safety Administration points out that an average of 4 children are killed and 529 are injured every single day in motor vehicle crashes. Deaths from fires and burns in the home are also far more common than kidnapping. In fact this is the fifth most common cause of death in the United States (CDC 2006) and kids are at the most risk. CPSC says that around 300 children under the age of 5 years drown annually in home swimming pools. Worse, research shows that almost all drowned children were being directly supervised by one or both parents at the time. 1.25 million kids younger than six years of age are unintentionally poisoned in their own home each year. American Association of Poison Control Centers says almost all of these poisonings are due to common household products most parents own. The CDC states that about 1.7 million children live in homes with loaded and unlocked guns which is extremely dangerous considering reports show that around 500 children die each year due to accidental gun shootings. The Consumer Products and Safety Commission says that 230,000 kids per year are treated in the ER due to toy-related injuries. These figures aren't meant to freak you out even more, but what they do clearly show is that unintentional injury is the number one danger kids in the U.S. face -- not childhood abductions. Compared to abduction, it's much more dangerous to drive your child to school, let him play while supervised in a swimming pool or allow him to own toys. Nemours Foundation research shows that street smart kids are far less likely to be abducted than sheltered kids. So if you want to feel brave about sending your kid outside, you should aim to raise a street smart kid. What's a street smart kid? According to the Nemours Foundation, a kid with street smarts is a kid who: Can keep themselves safe from strangers when alone or with other kids. Knows how to stay safe when walking to school, riding the bus, hanging out on the playground, or riding their bike. Can navigate their way around new places and can ask for help when stumped. Knows how to handle themselves in tough situations Has the ability to "Read" new people they meet. Can identify safe places in the neighborhood and other places where they can go if there's trouble. Knows to avoid isolated spots that may pose a danger. Knows how to attract adults attention if there's a problem. Trusts their gut and acts on it, when needed. There's a 0% chance that your child will develop street smarts sitting on a couch or with you tied to him at all times. Your child needs some independence in order to gain these street-smart skills. Below is how you can help your child develop these skills. Teach basic safety rules: Teach kids to wear helmets and look around before crossing a street. Tell them not to mess with strange dogs and to only climb stuff they're comfortable climbing. Go over all the basics. Go with your kids at first: When your kids are young, head out into the world with them. Point out situations that could be dangerous, like building sites, broken playground equipment, train tracks and traffic. Don't freak kids out, but make sure they know a questionable situation when they see it. Teach your kids about people they don't know yet: Avoid "Stranger danger" speeches that scare kids. Your kid should know better than to go places with people they don't know. However, don’t teach your kids that everyone is waiting to harm them, because it's not true. If you’re looking for a good video about “strangers” check out The Safe Side. 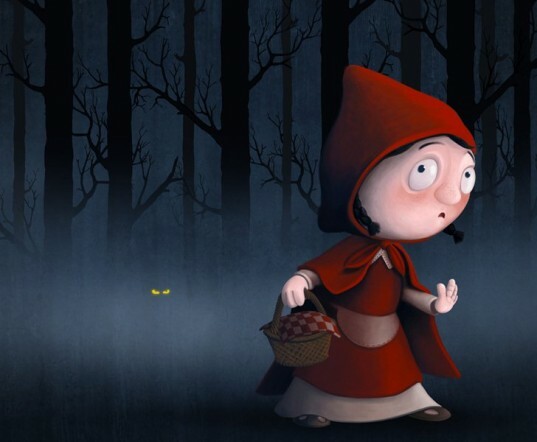 It encourages safety not fear, discussing “People we know well” and “People we don’t” instead of “Scary strangers.” My son liked this video a lot and I especially liked that it encourages kids to be smart and safe while on their own, but not fearful. Teach your kids to seek out proper adult attention: If needed, your child should know which adults are the best to ask for help. I always tell my own son to look for a mom or dad with kids. It's not 100% perfect, but my guess is a mama or papa will know what to do when a kid needs help. Store clerks who are behind a counter helping customers are also a safe bet. If you live in an area with lots of apartments, tell your child to go to an apartment office if he needs help or needs to call you. Have a check in system in place. My son is allowed to ride or run around the neighborhood if he wants, even at night, but he does know to check in once in a while. Set check in times that aren't too long or short. Having your kid check in every 10 minutes is not giving them freedom to play. Be there at first. If your kid wants more freedom, go with them once or twice first, so you feel comfortable. My son at age 11 wanted to ride to the corner store. That means riding out of our neighborhood, under the freeway bridge, over the MAX (train) tracks and crossing a very busy street. Was I freaked a little? Sure. But I went with him the first two times. I watched him stop at the train tracks and look before crossing the street. Though he had fun, he was also careful. I felt better about it, and now he goes alone or with a friend. At 11 he also decided to ride his scooter to school. His school is over a mile away and the only way to get there involves streets of heavy traffic. Again, I went with him twice. He did fine, learned the route and would call me when he arrived at school. My son's best friend who is 12, rides the bus all over the city on his own to get to school. His mom mapped it out with him and rode with him once and now he's good to go solo. Seeing your kid manage activities will help you relax because you'll know they know what to do. Get another parent on board. I'm lucky because my son's best friend has parents who believe kids should be kids and get some freedom so they have no problem when our kids want to go explore. Most of my son's friends parents think kids are safer trapped inside though, so I know that can be frustrating. Start a conversation with other parents about why your kids should be allowed to play outside together. Getting another parent on board means your kid has a friend to pal around with outside. Really sell the safety in numbers speech. Take bigger risks as time goes on. The more you see your child head out into the world and come back safely, the safer you'll start to feel. You'll amazingly begin to trust your child. You'll see that it's safe to drop your kid off at the movies, the park or the mall, or even downtown so he can go to the bookstore or a concert with friends. In fact, maybe you'll even send your kid off on public transportation to these places. It's hard to take on new risks, but it does get easier as time goes on.